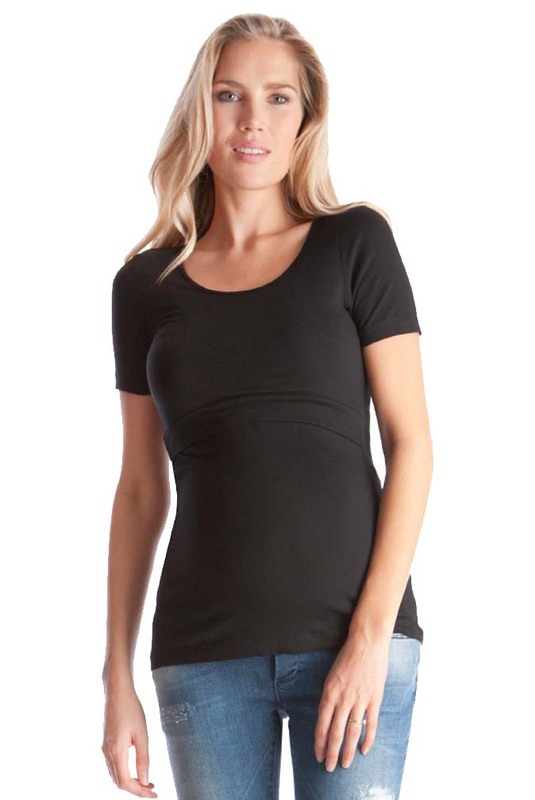 A basic maternity & nursing top is a must have for a mom-to-be - perfect for mixing, matching and accessorizing. Cut long in the body, this short sleeve top is made in the softest bamboo fabric with plenty of stretch, growing with your changing curves and allowing your skin to breathe. Once your baby arrives, a discreet front panel can be lifted up to provide simple access for nursing � easing the transition into motherhood.